is proud to announce that it will be adding four doctors and two locations on January 1, 2016, bringing its total number of doctors to 37 and total number of locations to 24. Todd Ha", "articleBody": "
Foot and Ankle Specialists of the Mid-Atlantic, LLC (FASMA) is proud to announce that it will be adding four doctors and two locations on January 1, 2016, bringing its total number of doctors to 37 and total number of locations to 24. Todd Harrison, DPM, Mark Roemer, DPM, Betsy Rosenthal, DPM, and Gregory Smith, DPM, of Podiatry Associates of Hagerstown, bring more than 20 years of experience to the group. Drs. Harrison, Roemer, Rosenthal and Smith practice in the Hagerstown office, located on the Meritus Medical Campus, and Dr. Harrison also practices at a separate location in McConnellsburg, Pennsylvania. Dr. Todd Harrison received his Doctorate in Podiatric Medicine from Scholl College of Podiatric Medicine in 1985. He completed his residency at Maryland Podiatric Residency Program, in Baltimore, Maryland, in 1986. Dr. Todd Harrison is a Diplomate of the American Board of Foot and Ankle Surgery, and a member of the following organizations: the American Society of Podiatric Surgeons, the Maryland Podiatric Medical Association, the American Podiatric Medical Association, the Alumni Association of the Scholl College of Podiatric Medicine, and the American Academy of Podiatric Sports Medicine. He is an active surgical staff member of the Meritus Medical Center, Robinwood Surgery Center, and Fulton County Hospital. Dr. Mark Roemer received his Doctorate in Podiatric Medicine from Temple University School of Podiatric Medicine 1995. Dr. Roemer completed his residency at the Residency Department of Veterans Affairs in Philadelphia, Pennsylvania. Dr. Roemer received a commendation for outstanding service from the Veterans Administration. He is a Diplomate of the American Board of Foot and Ankle Surgery, and a member of the following organizations: the American Society of Podiatric Surgeons, the Maryland Podiatric Medical Association, and the American Podiatric Medical Association. He is an active surgical staff member of the Meritus Medical Center and Robinwood Surgery Center. 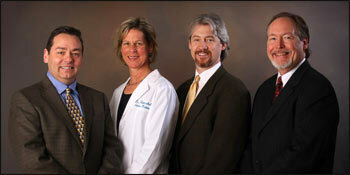 Dr. Roemer served as Chief Sub-Department of Podiatric Surgery at the Meritus Medical Center from 2007-2013. He also volunteers at local community clinics and gives monthly lectures to diabetics. Dr. Betsy Rosenthal received her Doctorate in Podiatric Medicine from California College of Podiatric Medicine 1990. Dr. Rosenthal is a Diplomate of the American Board of Podiatric Surgeons. She is a member of the following organizations: the American Society of Podiatric Surgeons, the Maryland Podiatric Medical Association, and the American Podiatric Medical Association. Dr. Rosenthal is an active surgical staff member of Meritus Medical Center, Chambersburg Hospital, and Robinwood Surgery Center. She also served as a member of the Staff Chief Subdepartment of Podiatric Surgery at the Meritus Medical Center from 1998-2000. Dr. Gregory Smith received his Doctorate in Podiatric Medicine from Temple University College of Podiatric Medicine 1982. He completed his residency in the Podiatric Surgical Residency Program, Memphis, TN, in 1983. Dr. Smith is a Diplomate of the American Board of Foot and Ankle Surgery, and a member of the following organizations: the American Society of Podiatric Surgeons, the Maryland Podiatric Medical Association, the American Association of Podiatric Practice Management, and the American Podiatric Medical Association. He is an active surgical staff member of the Meritus Medical Center and Robinwood Surgery Center. Dr. Smith has served as Chief Sub-Department of Podiatric Surgery at the Meritus Medical Center from 2014 to present.